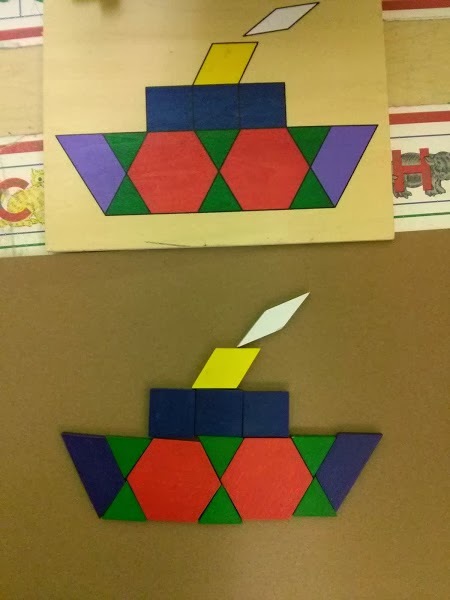 About this toy/activity: Features 10 simply-designed, colorful patterns, and over 100 pattern blocks in 6 different shapes and colors to replicate the pattern shown. Contents store neatly in a durable wooden case. Develops: shape recognition and spatial relations, visual memory, visual-perceptual skills, matching skills and fine-motor skills, attention on task, focusing and problem solving skills.